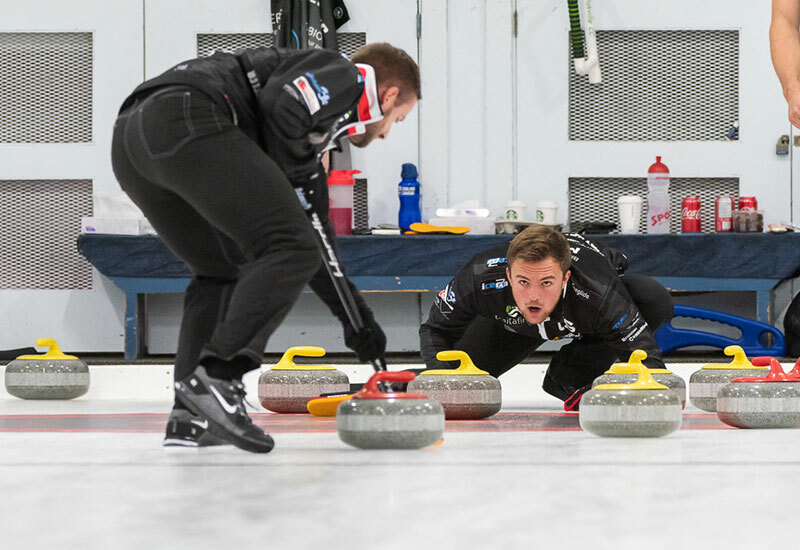 Yannick Schwaller (Bern, Switzerland) wins the Stu Sells Oakville Tankard, defeating Wayne Tuck Jr. (Strathroy, Ontario) 8-3 at the Oakville Curling Club in Oakville, Canada. Schwaller takes home the $7,500CDN first place cheque along with 51.858 world ranking points, while Tuck Jr. receives $4,000CDN and 38.029 world ranking points for their second place finish. Starting with hammer, Tuck Jr. scored 2 in the first end, after which Schwaller responded in the second end scoring 4. Schwaller added a steal in the third end, then forced Tuck Jr. to a single in the fourth end to lead 5-3. Schwaller added 3 in the fifth end for early handshakes the 8-3 win. In the semifinals, Schwaller defeated Jan Hess (Zug, Switzerland) 5-4 and Tuck Jr. defeated John Epping (Toronto, Ontario) 7-4. Epping and Hess earned $2,750CDN and 29.386 ranking points for their semifinal finishes. In the quarterfinals, Schwaller defeated Tanner Horgan (Sudbury, Ontario) 8-1, Tuck Jr. defeated Jordan Chandler (Sudbury, Ontario) 5-4, while Hess defeated Matt Dunstone (Regina, Saskatchewan) 8-3 and Epping defeated Scott McDonald (Kingston, Ontario) 8-4. Dunstone, Chandler, Horgan and McDonald earned $2,250CDN along with 20.743 ranking points for their quarterfinal finishes.